Avocado (Persea lauraceae) is a tropical American native. The first avocados made their way into Florida in 1822 and are now cultivated throughout the southern areas of the state. Depending on the cultivar, avocado trees are small to medium large, ranging anywhere from 30 to 65 feet in height. The three races of avocados are Mexican, Guatemalan and West Indian, with Mexican varieties being the most cold tolerant. 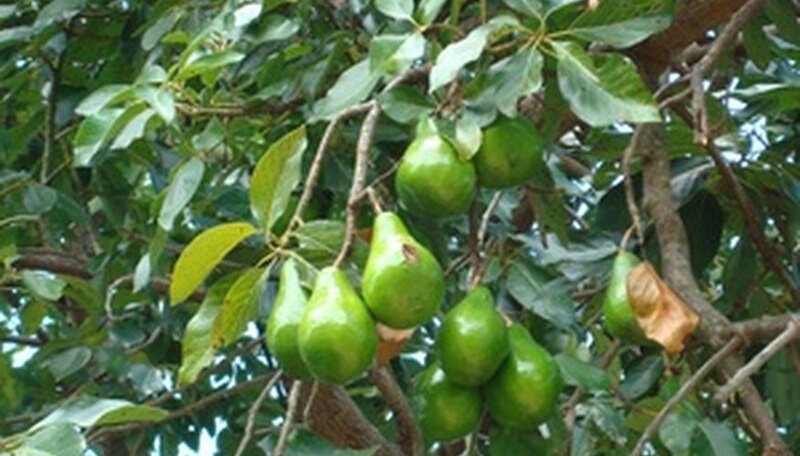 Gardeners living in warm areas of Central and South Florida will find avocado trees an attractive and hardy addition to their landscapes with the extra benefit of bearing fruits. Consider where you live within Florida and its coolest temperatures. Varieties such as Donnie, Pollock and Waldin are not cold tolerant and will grow best in warmer areas. Varieties such as Taylor, Lula and Gainesville will tolerate infrequent cold temperatures from 24 to 28 degrees Fahrenheit. Consider the mature size of the avocado tree when selecting a planting site. Plant the tree approximately 20 to 30 feet from any structures, as recommended by the University of Florida. Select a warm area in your Florida landscape that receives full sunshine throughout the day for best bloom and fruit production. Avocados will tolerate growing in shade but they will not bloom or produce fruits. Plant your avocado in an area that has protection if you live in coastal areas that experience high winds. Tree limbs are not tolerant to high winds and break very easily. Grow the avocado in soil that drains well. If your Florida soil has a tendency to flood when heavy rains occur, build a mound of the existing soil that is approximately two to three feet high and 10 feet in diameter. This will lift the tree out of the saturated conditions. Plant your avocado tree directly into the native Florida soil. Amending the planting site with top soil or organic compost is not required or recommended, according to the University of Florida. Dig a hole that is three times wider and deeper that the tree’s root ball when preparing to plant. This will loosen the soil, making it easier for the avocado’s roots to spread out. Plant the tree at the same depth it was originally growing inside its container. Water newly planted trees every other day for the first week, depending on your local weather. Continue to water one to two times per week thereafter. Water regularly for best growth if your area of Florida is experiences droughts. Fertilize trees one year old and younger approximately every other month with a 6-6-6 or 8-8-8 fertilizer. Fertilize older trees with three to four annual applications spread out evenly throughout the year. Apply a nutritional spray of copper, manganese, boron and zinc at the same time you fertilize during the spring and throughout the summer. Prune to control shape and size and to remove any dead wood or weak branches. Protect trees from freezing temperatures by wrapping with a blanket or hanging holiday lights throughout the branches. Avocado fruits ripen off the tree.